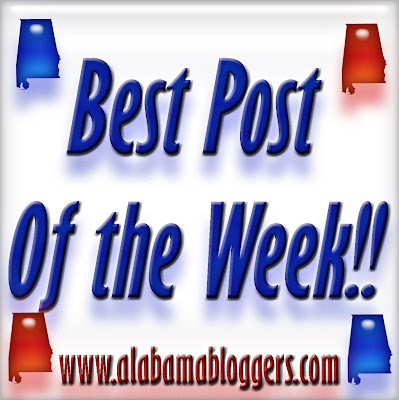 I enjy perusing this site and finding other Alabama bloggers. This week I posted about my photo that has gone viral on Pinterest resulting in over 40,000 hits to my blog! Amazing! This week I posted about Miss Electra, the shockingly naked statue in downtown Birmingham. My post this week is about how our Wii allowed us to meet some people we'd long been wanting to see. 10. Magic City Post - take a tour of the newly renovated Avondale Park in Birmingham. The video I posted is an old one, but it bears repeating that there is more to being an artist than just making stuff. If not the BEST of my posts this week, it's most likely the longest one! It covers a project I'm working on and asks for readers' opinion.